​http://bit.ly/2V3fEzo. Video Uploading- Made Easy, Fast & Secure:The Refine Medium platform provides a profound insight into the blockchain technology being manoeuvred to develop a decentralised social video manifesto. Refine Medium leverages Ethereum blockchain technology in order to perform two major functionalities of enabling transparency in: content monetization and storing information of value to creators, innovators and the users that will win over the confidence of all the stakeholders of the platform. The model implemented by Refine blockchain creates a direct creator-to-consumer network, replacing intermediaries in the process. The blockchain validates informations on a distributed ledger which will provide varying levels of privacy (from anonymous to pseudo-anonymous to public) for users based on implementation and behaviour of actors within the infrastructure. Thus, making the2 . Refined Protocols for Copyright Management:“Copyright Agents” of exisiting videoplatforms will be replaced by “Copyright Moderators” in the Refine Medium platform. Refine Medium respects the intellectual property rights of others, and requests all the stakeholders to do the same. Refine Medium is strictly against copyright infringing activities and infringement of intellectual property rights on its website or related services. “Refine Medium possesses the right to remove all such contents if substantially notified that they infringe another person’s or groups’ intellectual propertyrights, with prior notice to the defaulter.” Refine Medium moderators can raise a voting mechanism to terminate a user’s account if the user is determined to be a repeated infringer of copyright. RefineMedium may remove such Content and or terminate a User’s account due to a violation of their Terms & Conditions at any time, with prior notice. “Videos will not be downloadable due to risk of copyright infringements.” If one wishes to download a particular content, they can do the same through the RefineMedium Platform with transactions to be paid in “XRM”. The content uploaded by the user if found infringed, is subject to a notice in the form of an e-mail. The user can counter-query the warning by providing substantial evidence. Once the appeal is received, it will be forwarded to the party that initiated the take-down notice. Therestoration of the content is at our sole discretion in which platform moderators will play a crucial role.3. Equitable Power Disposition:Refine Medium platform aspires to develop a world class infrastructure for content creators, by rectifying the challenges they have to come across in existing platforms and placing utmost power in their hands so that users get access to quality yet diversified content on the platform. The platform pledges to be the harbinger of monetary hikes, motivating infrastructure and recognition that the creators have been deprived of for the longest of times. The negotiation agreements and payment terms will be governed by smart contracts with no scope of manipulation. These are predefined codes that are stored on the blockchain and intend to digitally facilitate, verify or enforce the performance of a contract. 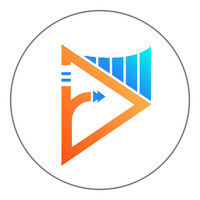 As soon as a particular video is online after undergoing Refine protocols, the creator will be provided with a unique Refine ID which can be used to access the Refine dashboard. Refine dashboard will render the creator with comprehensive data analysis which will help them to understand how their creations are performing as well as assist them for sequels and future projects. Thus, presenting a world class infrastructure for creators to produce quality content and promoting hike in compensation and equitable distribution of power. Time has come for the creators to demand what is rightfully theirs with Refine Medium providing the platform necessary to do so.4. Decentralised Content Moderation:In the road to become a global decentralised solution, the platform aims to address content suitability, plagiarism and legality issues by deploying a group of participants, among its user base, to moderate the subject uploaded. “Copyright Agents” of exisiting videoplatforms will be replaced by “Copyright Moderators” in the Refine Medium platform. Refine Medium respects the intellectual property rights of others, and requests all the stakeholders to do the same. Refine Medium is strictly against copyright infringing activities and infringement of intellectual property rights on its website or related services. “Refine Medium possesses the right to remove all such contents if substantially notified that they infringe another person’s or groups’ intellectual propertyrights, with prior notice to the defaulter.” Refine Medium moderators can raise a voting mechanism to terminate a user's account if the user is determined to be a repeated infringer of copyright. RefineMedium may remove such Content and or terminate a User's account due to a violation of their Terms & Conditions at any time, with prior notice. “Videos will not be downloadable due to risk of copyright infringements.” If one wishes to download a particular content, they can do the same through the RefineMedium Platform with transactions to be paid in “XRM”. The content uploaded by the user if found infringed, is subject to a notice in the form of an e-mail. The user can counter-query the warning by providing substantial evidence. Once the appeal is received, it will be forwarded to the party that initiated the take-down notice. Therestoration of the content is at our sole discretion in which platform moderators will play a crucial role. Refine Medium platform aspires to develop a world class infrastructure for content creators, by rectifying the challenges they have to come across in existing platforms and placing utmost power in their hands so that users get access to quality yet diversified content on the platform. The platform pledges to be the harbinger of monetary hikes, motivating infrastructure and recognition that the creators have been deprived of for the longest of times. The negotiation agreements and payment terms will be governed by smart contracts with no scope of manipulation. These are predefined codes that are stored on the blockchain and intend to digitally facilitate, verify or enforce the performance of a contract. As soon as a particular video is online after undergoing Refine protocols, the creator will be provided with a unique Refine ID which can be used to access the Refine dashboard. Refine dashboard will render the creator with comprehensive data analysis which will help them to understand how their creations are performing as well as assist them for sequels and future projects. Thus, presenting a world class infrastructure for creators to produce quality content and promoting hike in compensation and equitable distribution of power. Time has come for the creators to demand what is rightfully theirs with Refine Medium providing the platform necessary to do so. In the road to become a global decentralised solution, the platform aims to address content suitability, plagiarism and legality issues by deploying a group of participants, among its user base, to moderate the subject uploaded.